Home / Clapton, Eric / New titles from Moonchild and an EV announcement! 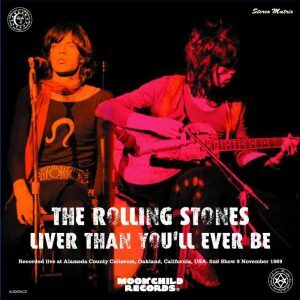 The Japanese budget label, Moonchild has recently dropped a few new titles, two from the Stones, one of Fleetwood Mac. The first is ‘Live’r Than You’ll Ever Be’. A ‘stereo matrix’ (2 mono audience recordings: #1 TMOQ source / #2 alternate source, including parts from a mono soundboard recording (FM broadcast)) that appeared in trading circles a short while ago. Apart fro everything, it’s an awesome looking cover. 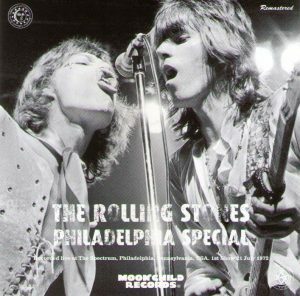 The second Stones release is a new single CD version of ‘Philadelphia Special’. Presumably another internet exclusive, fan based upgrade. 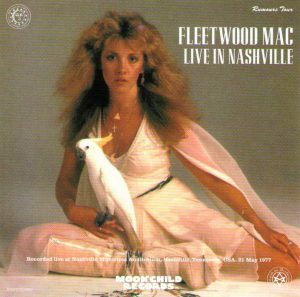 The Fleetwood Mac release is, ‘Live In Nashville’, recorded at the Nashville Municipal, Auditorium, Nashville, Tennessee. 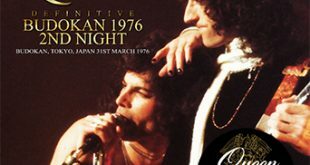 21st May, 1977, this a classic show from the “Rumors” era tour. 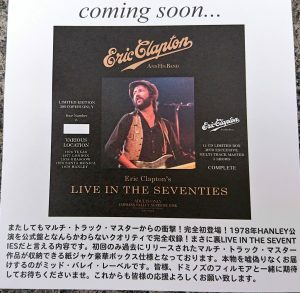 The Empress Valley label will shortly be releasing a deluxe Eric Clapton box – A collection of multitrack masters from 1976 (Texas), 1977 (London) and 1978 (Glasgow, Santa Monica and Hanley). It’s a 12 CD, limited to 300 copies, set. Thanks, although I had actually tried some searching myself and unfortunately didn’t come up with a definitive answer, but fortunately I managed a couple days ago to find a decent-priced 1CD with the so-called “Freak Out” mix of “Purple Haze” on it. And so I just went ahead & ordered it, and now I’ll be giving the answer here after I eventually receive it, if anybody may still be interested. Keep on rocking! The Eternal Grooves label is a strange one – I’ve seen it being advertised on HMV.jp and CDJapan – Both retailers of commercial works and have to assume that this is a grey market label of a much greater calibre that we seem to get in the West. I really can’t imagine that they’ll be working with the majors (They’re putting out Beatles material f’flips sake!) and that’d be getting anything that our bootlegging chums haven’t actually given us before. It’ll be interesting to see if they break in to different countries with their stock. Your Jimi Hendrix question, I’m sorry I can’t answer but maybe Wpgsec might have an idea. And lets not forget Relayer67, Cliff, Leedslungs71 and the others, without whom ..
Could anybody who knows please let us know if the so-called “Freak Out” mix of “Purple Haze” by The Jimi Hendrix Experience is something totally new or at least somewhat new (released sometime within the last 2 years or so), or is it in fact just a relatively new name for something that has already been previously released before on “Are You Experienced?” studio material boot CD’s, such as the 4CD “The First Studio Sessions 1966/1967” by the Rattlesnake label? Also, does anybody know anything about the Eternal Grooves label (EGRO)? Is it a relatively new boot label, or one that has already been around for a while? Have they actually released any studio boot material that’s new, or are all of their studio tracks just re-hashes of old material that’s already been available elsewhere? For example, especially & specifically, is there anything refreshingly new at all on either of their Cream 1CD titles “Anthology Volume 1” & “Anthology Volume 2”? Thanks very much to anybody who could kindly attempt to help any, and thanks esp. to Stuart & WGPSEC for all their great contributions here.